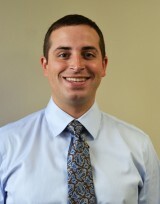 Dr. Casey Carmody grew up in Yakima, Washington and graduated from Eisenhower High School. Following his high school graduation, he attended the University of Washington, where he received both his BA in economics and his Doctor of Dental Surgery degree. Dr. Carmody enjoyed the sense of community and loyalty that he experienced growing up in Yakima and he strives to implement that atmosphere in his practice of dentistry. It is his goal to deliver high-quality comprehensive dental care, with compassion and professionalism, which is respectful of all people. He takes continuing education classes as often as time permits because he loves learning about the variety of disciplines in dentistry. 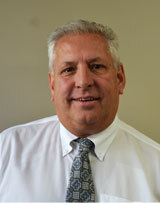 Dr. Carmody is married to his beautiful wife, Ara, who is also a dentist. When he has free time, he enjoys a variety of hobbies and activities, including traveling, basketball, golf, Washington Huskies athletics, Seattle professional sports, and trying new restaurants. He is always looking for a new restaurant recommendation, so be sure to tell him about your favorite restaurant when you visit! Robyn began working in our practice in 1993. Robyn is a graduate of Loma Linda School of Dentistry in Loma Linda, California, where she received her BS in dental hygiene. Her terrific patients have kept Robyn here all these years and she wants to thank them for their loyalty and friendship. When not in the office, Robyn enjoys many hobbies, including sports, camping, boating, the Seahawks and the Mariners, shoes, skiing, food, and the beach. Robyn and her husband have been married for 18 years and they have two boys. She loves spending time with her family and encouraging them in their hobbies and interests! 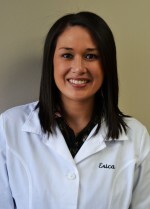 Since joining our team in 2010, Erica has been educating our patients and providing the best oral healthcare possible. She loves working in a fun, family-oriented office. A 2003 graduate of Washington State University with her BS in biochemistry (Go Cougs! ), Erica returned to school at Seattle Central Community College, where she graduated with her dental hygiene degree in 2010. When she’s not cleaning teeth, Erica loves to run, play golf, keep up on college sports, and spend time with her family and friends. She and her husband live in Seattle with their chocolate lab, Gus. Jennifer has been assisting at our office since 2007. She graduated from Bryman College in 2003 and was honored to be the valedictorian. 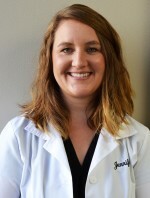 An extremely hard worker, Jennifer enjoys working with the fun staff and dentists at our office. When not at the office, she enjoys spending time with her husband and two children. 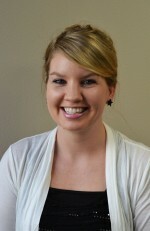 Jodie joined our practice in 2008 and loves working with our awesome patients, great staff, and caring dentists. She’s proud to be a part of a team that goes beyond your expectations to make you feel good about visiting the dentist. Jodie is the first person that you see when you walk into our office, and she ensures that you immediately feel comfortable here. 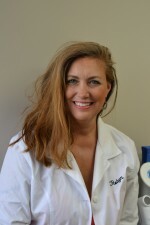 With her extensive knowledge of dental insurance, Jodie can answer your insurance questions and make appointments that fit around your schedule. Jodie and her wonderful husband have been married for 10 years and they recently adopted an adorable dog named Chance. Our practice offers a unique component as we have an in-office dental laboratory. This brings a great advantage in offering the best aesthetics possible with our laboratory work. We fabricate crowns of all types, bridges, inlays, onlays, veneers, sports guards, night guards, orthodontic appliances, and other prosthetics in our office. Custom shades, color staining, and contouring are just a few services we are able to offer in-house to give our patients the highest quality in customization. © Copyright 2019 J. Brewster Bede. All Rights Reserved.